British-made, Denis Wick mutes are acclaimed worldwide for their sound quality, intonation in all dynamic ranges, plus superb workmanship. Denis Wick practice mutes are perhaps the best teaching aid ever invented. 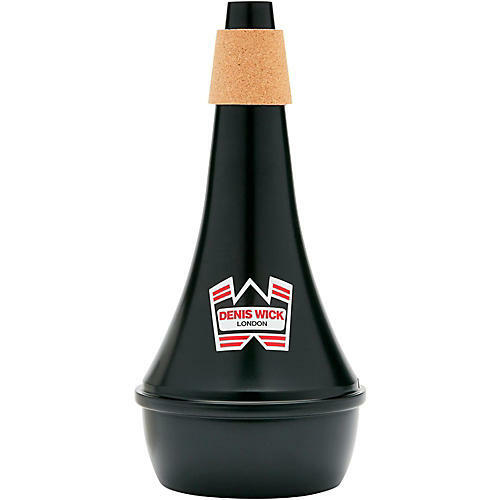 Not only do they fulfill the need for the in-tune painless practice, so essential in the development of every young player and an indispensable "hotel mute" for the professional, but they also make possible an enormous improvement in tone quality using the entire vital capacity as a vibrating air column by opening the throat spaces through playing loudly in the low register.